Is it possible to have Holy Grail donuts? Because I think this could be one them. This donut was inspired by my insane-but-totally-justifiable love of Dough donuts. There are very few reasons for me to leave a show that I'm working on twenty minutes before it starts to run around the corner to Dough and stand in a line to possibly-maybe get one of the last donuts of the day. I didn't get one. There were 5 donuts left and I was the 6th person in line at that point. You win some, you lose some. And if you don't know about Dough, just know that I'm throwing shade in your general direction. Loveyoumeanit. Since I missed my opportunity to snag Dough's nutella creme filled donut, I figured I should just recreate a similar treat chez moi (you didn't know I was bilingual, did you!). Since I am not interested in frying things in my apartment because I'm 99.3% convinced I'm going to burn down the entire building, I fell back on my usual method for making donuts, which is baking them. Nutella was incorporated into both the donut and the glaze and these perfectly tasty mini donuts ensued! This doesn't mean that I won't be jumping at the chance to get my hands on a Dough nutella donut in the near future, but these donuts do provide a lot of satisfaction while I wait for that chance. Also, I realized after I took these photos that the silver sprinkles really look a lot like salt, which gives me a whole NEW idea for another donut flavor. Stay tuned! I decided to take a thing and make it another thing. That's a thing, right? Can we make it a thing if it's not? Oof, this is getting awkward. But, oh hey girl (or guy), today is National Donut Day! And I put booze in your donuts because it's the freaking weekend. So you can have you some fun. I honestly have not partied with tequila in a while. I don't really miss it since we broke up a few years ago. But I do happen to have a decent sized bottle in my liquor cabinet (aka a random corner of my pantry) and that massive bottle ain't gonna drink itself. So now we bake with it. Then add some lime and salt, because DUH! As you're reading this, I am relaxing somewhere on the island of Grand Cayman. Yes, my friends. I am on va-ca-tion. I'm sure I'm loving it. Most of that probably also has to do with the fact that it's barely spring in the Northeast and it's definitely much warmer down here. Unfortunately, the, uh, "preparation" I needed to make it here and hang out in public in my bathing suit required me to pack up these delicious baked donuts and remove them from my kitchen the same day that I made them. 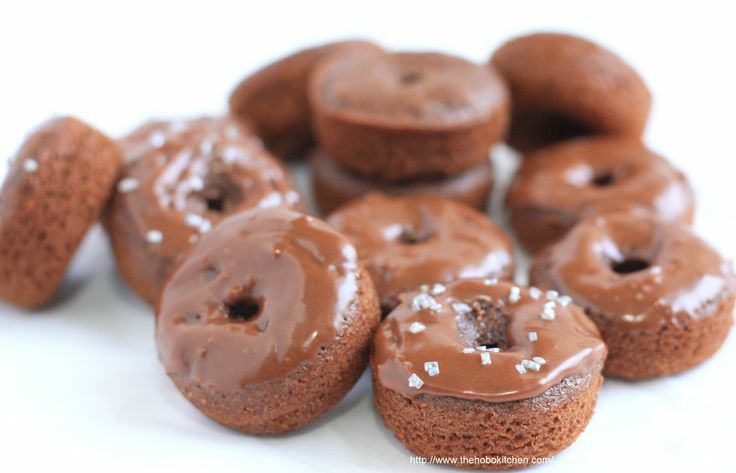 Because it makes sense to bake chocolate donuts even when you can't eat them. That's practical, right? Sure. 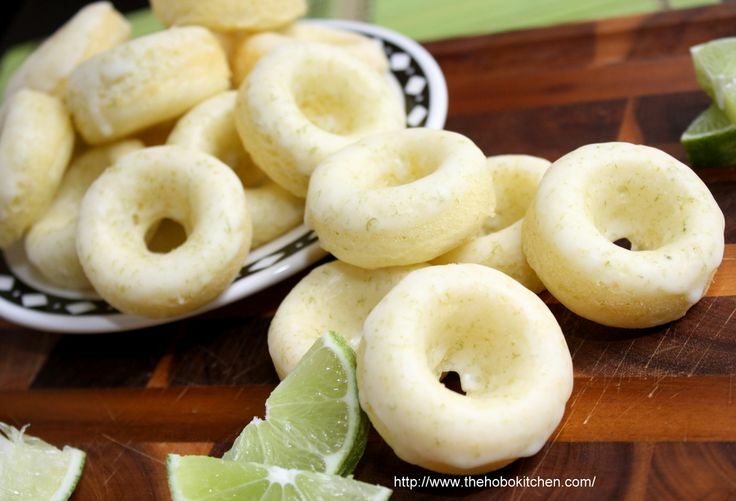 You also don't have to make these into mini baked donuts. You could use a regular-sized donut pan, but seeing as I don't have any of those, mini donuts it is! My friend Diego sent me a recipe for baked mini donuts via Twitter a few weeks ago. (Yes, I accept recipe suggestions through Twitter. Welcome to the year 2010.) 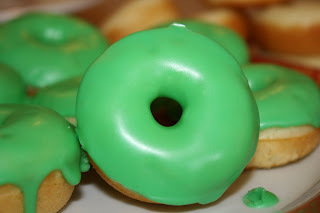 The recipe was from Heather at Sprinkles Bakes and these donuts are just soooo cute that I knew I had to make them myself. An added advantage to making something mini-style is that you can eat 15 of them and not feel guilty about it. At least until you get that nasty stomachache an hour later. The only thing stopping me now was the fact that I didn't have a mini donut pan. Which. I. Couldn't. Find. Anywhere. How is it that no major retail stores on the East Coast sell mini donut pans? OK, I confess that I didn't search that hard. Eventually I caved and purchased a pan online at Amazon.com. It was pretty cheap and as soon as the pan came in the mail and I saw how small it was, I realized that I had made a costly mistake. The pan itself was great. But I had purchased only 1 pan. For the sake of your own sanity, I urge you to purchase at least 2 mini donut pans. 3 would be best, since this recipe yields about 5 dozen donuts.